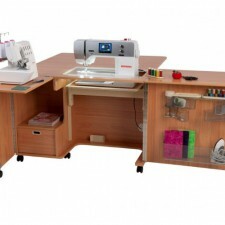 Horn sewing furniture have the ideal solution to your sewing storage needs. Plus with it’s new Modular Range Horn can help you to create the perfect sewing environment to let your imagination run free. and that perfect stitch every time with a range of different models there is the machine to suit your needs. Bernette sewing machines offer a range of high quality durable sewing and embroidery machines at an affordable price. The bernette range is perfect for the beginning sewer or if you want a second machine for taking to classes. 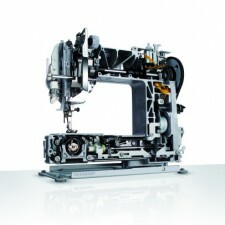 BERNINA sewing machines, bring a world of creativity to your sewing. 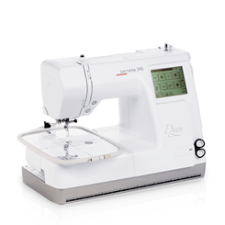 With machines ranging from our beginners model used in schools across WA to our amazing top of the line sewing and embroidery combination machines we have the machines to suit all levels of sewing. You don’t reach over 100 years in business without giving your customers value for money honesty, backed with reliable after sales service. When you shop at Burnells you are assured of the same integrity of service which has been in its DNA from the beginning. Burnells is a 100% W.A. owned and operated business based in Western Australia and founded in 1909 by Norman Leslie Burnell. As the sole importer of Bernina into WA Burnells prides itself in offering reliable after sales service and support on this iconic brand. Just a quick note to let you know how much I just love the 880. It has not put a foot wrong, I am very very happy with it!!! Burnells is a 100% family owned and operated business based in Western Australia supplying sewing machines.